We are the largest specialist lifespan organisation providing an extensive range of services to adults with Autism. Our service model is evidence-based and in line with leading national and international peer-reviewed research in the field of Autism. 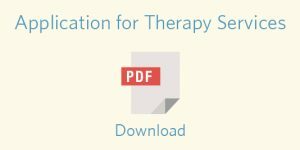 Click Here to Download Flyer – Therapy Groups for Adults. Increase participation at home and in the community. We are an endorsed service provider for the Department of Communities – Disability Services (previously Disability Services Commission) and a registered provider of therapy services for the National Disability Insurance Scheme through both NDIS My Way and the NDIA. Our highly skilled and dedicated team is committed to providing quality outcomes for people with Autism and their families. All team members take part in extensive and ongoing professional development and keep up to date with the very best in service delivery for people with Autism. The person with Autism is at the centre of everything we do. We work side-by-side with the person with Autism, their family and other supporters. Our services are provided in a range of natural environments including home, education, employment and recreation settings. Our trans-disciplinary team approach ensures that each individual team member can draw on the strengths of therapists from different professional backgrounds to create a service that is tailored to each individual’s needs and aspirations. One team member will be the key contact for the person with Autism and their family and will be responsible for achieving a coordinated approach to the therapy services provided. We also present a wide range of seminars and workshops for families, carers, community members and agencies that support people with Autism. Providing specialist expertise and mentoring to support staff. To ensure that we continue to provide services of an exceptionally high standard, our services undergo ongoing quality reviews based on feedback from people with Autism and their families. As an endorsed service provider for the Department of Communities – Disability Services (previously Disability Services Commission), we are also reviewed externally through the Department of Communities – Disability Services’s Quality System.